Passover, which begins on Monday evening this year, can offer some clues to answering this most universal of questions. But when I left Israel at 18, determined to start a new life not as a Jew but as a human being, I wasn’t ready to receive them. Most Passover Seders I had attended emphasized tropes of the Exodus that I chafe at — a vengeful God, a world in which women are secondary, an us-against-them zero-sum sensibility. In America, Jewish holidays presented an added challenge. Having grown up a member of a privileged majority, I couldn’t connect to the diaspora mentality. I felt like a stranger among the very people with whom I was supposed to feel at home. Touching this nerve was painful; avoidance seemed like the easier option. To my mother’s chagrin, I spent Passover Eve of my junior year with a non-Jewish friend at a Japanese restaurant. Eventually, I understood the futility of this strategy. Though mainstream Jewish observances left me feeling bereft, so did not marking the holidays at all. After years of searching, giving up, and searching again, I’ve begun to discover streams that nourish me. Through them, I’m finding a way back, a way to reengage with my tradition without losing myself. As I wrestle, one of the guides who’s helping me along the way is Moses. Moses goes home to face the conflict he ran from. His task is to negotiate, to mediate between the slaves and Pharaoh, both of whom symbolize aspects of every human soul. He will eventually leave again, but in a different way. Leaving home in peace requires acknowledging the naysaying voice within. Moses can’t leave Egypt for good until his ability to dream his own future overwhelms his fear, until he stands before Pharaoh and speaks his truth. Image by Don Emmert/AFP/Getty Images..
Pharaoh says no, as parents do. Sometimes parents say no even when they know that eventually they’re going to relent, that everybody will be better off when they do. Nevertheless, some inexplicable force compels them to dig in their heels, to wield their power while they still have it. Of course, Pharaoh is an extreme example. This is the point of archetypal myths: they use extremes to illustrate lessons that apply to us all. Pharaoh symbolizes attachment — the eminently human tendency to resist change. The plagues are the suffering that results from attachment. Each plague is a message from Pharaoh’s higher self, like a body that keeps getting sick until you listen to it. For Moses, the message of the plagues may be this: your blossoming into your most radiant self is not the true cause of suffering — Pharaoh’s suffering, your suffering, anybody’s. The cause of suffering is resistance. After the tenth and most devastating plague — the death of the firstborn child — Pharaoh finally relents, and the Israelites leave “in haste.” They leave so quickly they can’t wait for their bread to rise. This is why we eat unleavened bread on Passover. What’s the message here? When the force holding you back finally relents, go. Go. Don’t be scared. Don’t feel guilty. Don’t hang around saying long goodbyes. It’s time. Yet, the texts are also filled with the opposite, with joy. This is the paradox. When we finally break free, our glee is often tinged with something else, with a sinking recognition of the grief of those we have left behind. And… surviving requires not allowing ourselves to drown in their tears. Surviving is rejoicing despite their pain. Somehow, on the other side of it all, there is a place where all is forgiven, where the narrowness of our birth canal becomes a source of love and gratitude, where zero-sum gives way to abundance, where Pharaoh and Moses are one. 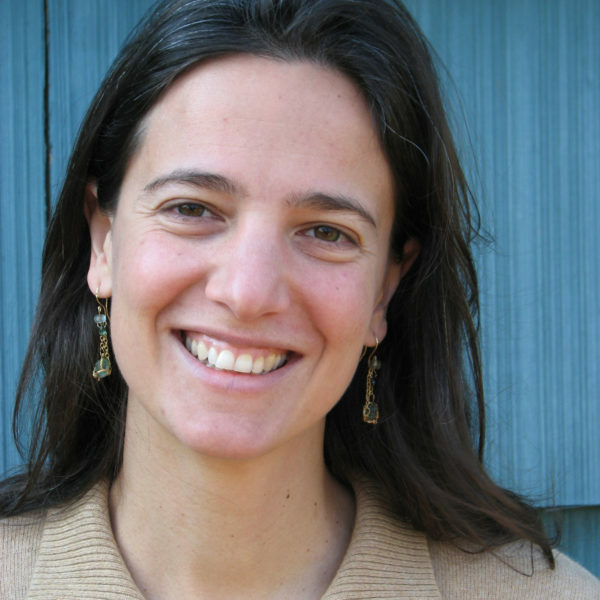 Shari Motro is a professor of law at the University of Richmond. She has written commentaries for The New York Times and the Wall Street Journal.